Creative, colorful, inspirational, and influential are some words that describe the neighborhood in Chicago called Pilsen. Pilsen is now home to Mexican residents but was home to the German and Irish first in the 1840s then home to the Czech Republic immigrants in 1871 and was named “Plzen” after the second largest city in now what is the Czech Republic. Then in the 1950s and 60s this influx of Mexican immigrants drastically grew. Pilsen is located on the Lower West Side of Chicago surrounded by many different murals, mosaics, and museums. Examples of the art include a painting of jail T-shirts on 16th Street, The Chicago Urban Art Society on Cermak Road, and the decorated stairs on Halsted Street. There are murals all over the neighborhood that are set by the boundaries of 16th Street, Cermak Road, Halsted Street, and Western Avenue. Among the many different places art can be found on roofs, the side of buildings, and on subway steps. The murals on the walls represent many different symbols such as the violence in the city, the loss of a loved one, or just an expression of freedom. The art in the town is distinctive from other cultures; it seems to make people happy to see that the art in town is turning their community into a less violent place with less gangs. This shows that the art is slowly dispersing the gangs in the neighborhood of 43,000 people and is making the community feel safe and secure. “They should have a great big art studio around here to help young kids… it creates inspiration for kids,” Mary Gutierrez said. 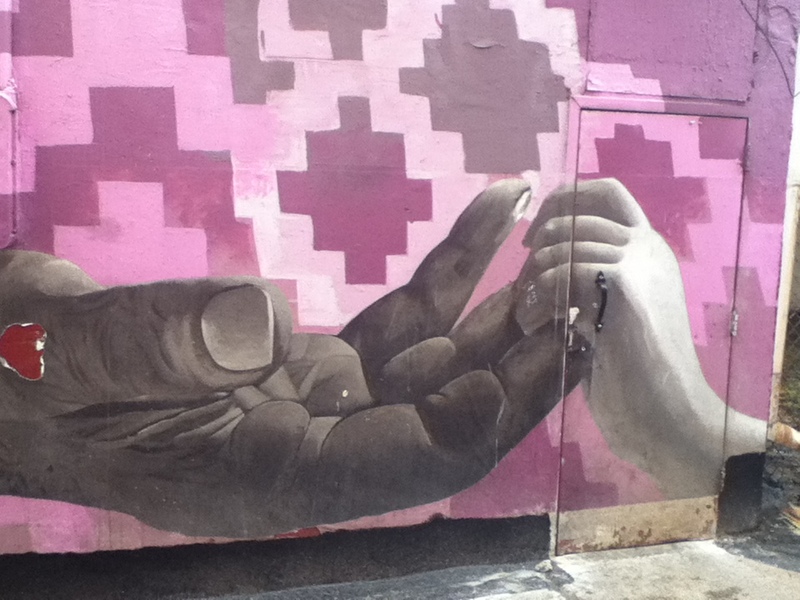 The art in Pilsen is described as a free pass for young kids to get away from all the violence in the Chicago neighborhoods and to get more involved in their community. Pilsen offers many images that people are probably most likely to never see it anywhere else.